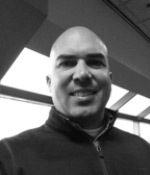 Nelson Navarro is currently a Director of Operations for United Rentals. United Rentals is the largest equipment rental company in the world, a Fortune 500 organization, with over 900 locations across North America. He has worked with other multi-national corporations like IBM, DuPont, and Asahi Corporation in Operations, Sales, Business Strategy and Marketing roles. Nelson’s educational background includes bachelor degrees in Mathematics and Mechanical Engineering; plus a Master in Operations Management from The Pennsylvania State University. In the past he volunteered as Campaign Officer of United Way, led initiatives for the Hispanic Network at DuPont, and for the last two years is part of the leadership team for a Multi-cultural employees resources group within United Rentals. Nelson and his family, Karen (wife), Karina and Layla (daughters) reside in Albuquerque.